Crusade warriors believed in symbols of their mission and carried daggers like this to protect them. If you are a collector of symbolic weaponry, then this is a must-have. 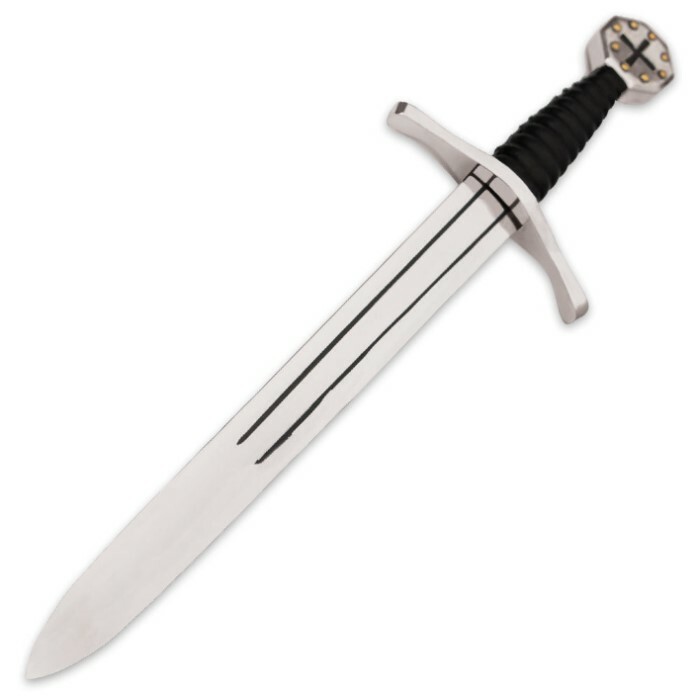 The Cross Emblazoned Crusader Dagger feels perfectly balanced in your hand. The iron-casted, chrome-plated pommel combined with the 11" high carbon steel blade makes it this way. The blade has etched lines details and the pommel is emblazoned with a cross. A genuine leather wrapped wooden handle gives you a comfortable grip. 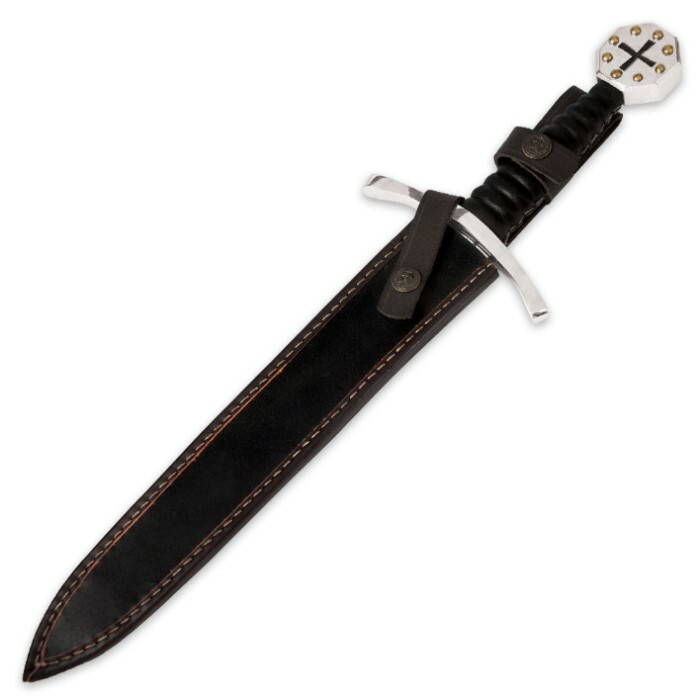 A leather sheath is included with this dagger. Out of the four pieces I recently purchased from BudK, this is the only one that I was not disappointed in. 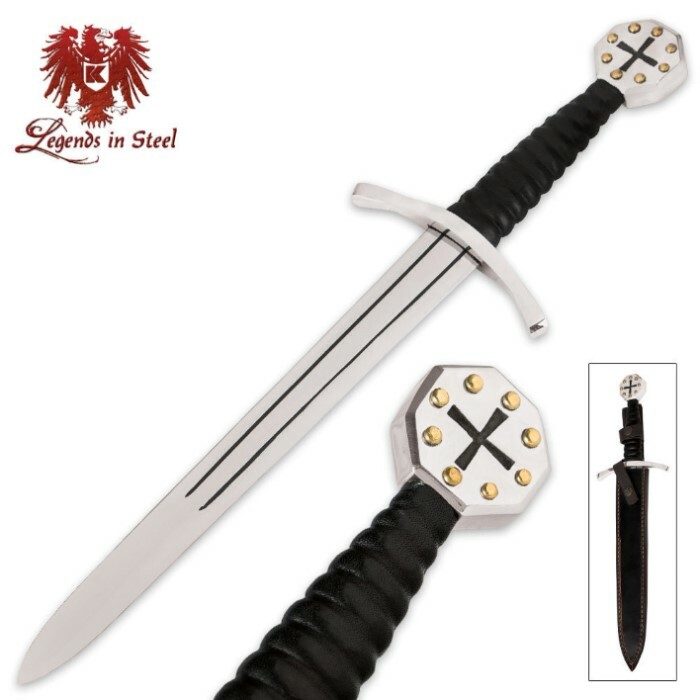 Well made, nice balance, with a nice sheath. No edge to it, yet nice for display.